As many people know, a camp's dining hall is one of the most heavily-used areas on camp. Ours is no exception! Over the course of its long history, it has been most lovingly "used up." We are lacking table space, kitchen and dish space, meeting space, and ADA-accessible bathrooms, among many other things. There are some parts of the dining hall that we and our constiutents do love, however, such as the arched wooden beams and big fireplace. Bathrooms fully functional –AND– Used! Permits approved for Phase II. Awaiting signed contract and construction dates. Expected to start by end of March. 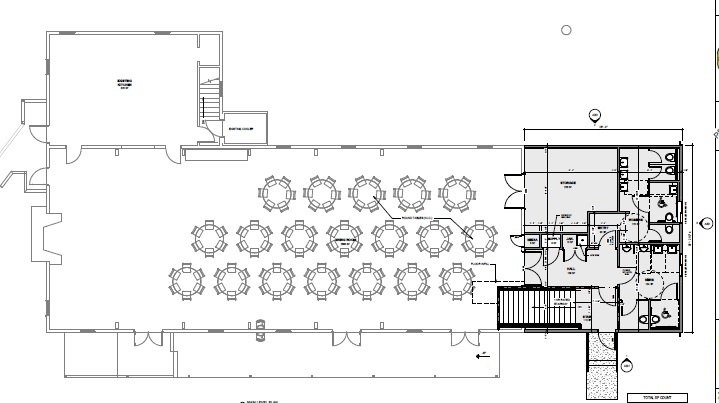 Continue reading below for pictures of our proposed floor plan and changes for Phase 1. 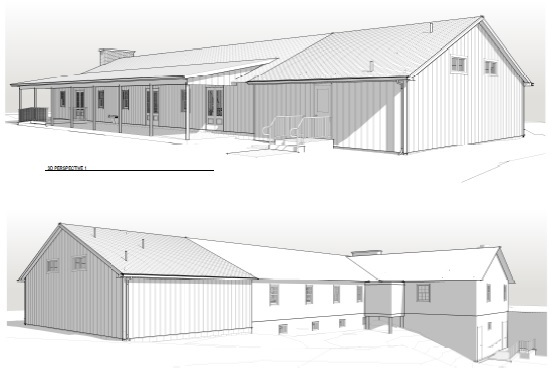 Phase 1: 3D Floorplan of proposed addition. Enlarged Dining Area ends at the rear of the current stage. 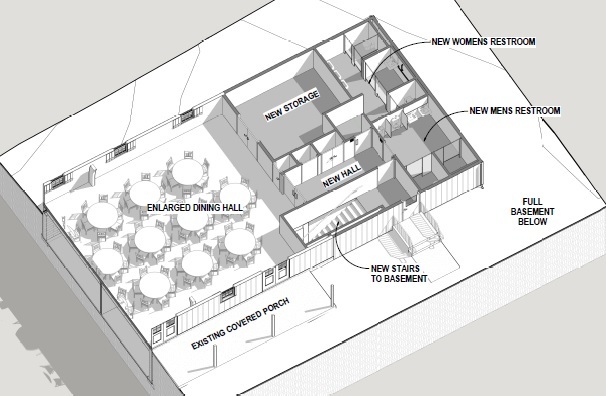 Overhead view of proposed floor plan. Enclose current porch to create building-long hallway, and extend new porch in front of existing building.